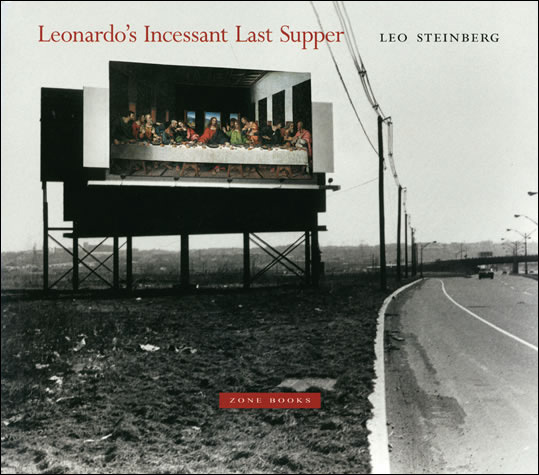 The following book review, presented by Dr. Frank DeStefano is dedicated to the memory of art historian and author, Leo Steinberg, who died in March 2011, aged 90. Steinberg's work is not commonly known or discussed outside of specialist circles, and hence formed a natural point of interest for 3PP, which aims to bring such topics into an openly accessible format. Steinberg was born in Moscow to German-Jewish parents. His father, Isaac Steinberg served as commissar of justice under Lenin, but was reportedly forced into exile in Berlin. The family then moved to London following the rise of Nazism in Germany. 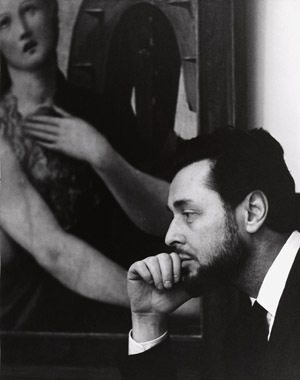 In London, young Leo studied painting and sculpture at the Slade School, concluding in 1940. He moved to New York following the Second World War, working as a freelance writer and translator, as well as teaching drawing at the Parsons School of Design. He studied art history at the Institute of Fine Arts at New York University, and completed his Ph.D. on Borromini's San Carlo alle Quattro Fontane in 1960. During his prolific career he also amassed an impressive collection of Italian prints, which was donated to the University of Austin, Texas in 2002. 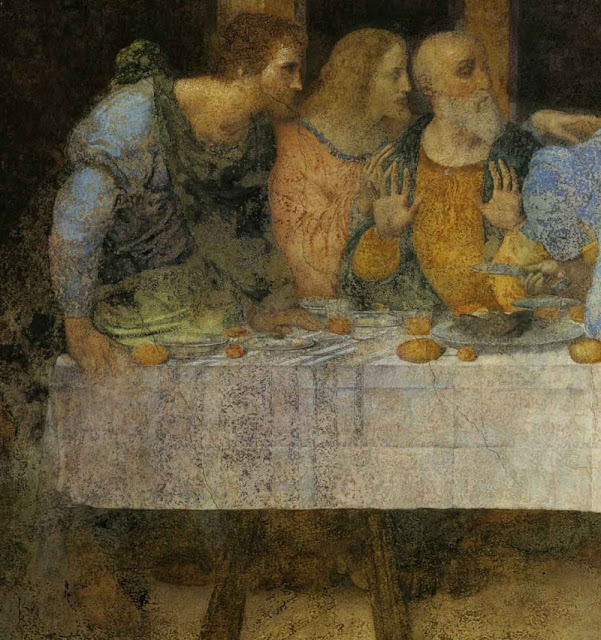 The damage to Leonardo da Vinci’s famous Last Supper is well known. Even after the most recent restoration the huge fresco that measures over 29 by 15 feet is in such perilous condition that viewing access is strictly controlled and limited. We know from early copies that much of Leonardo’s work has been irretrievably lost or covered. Early on the feet of Christ and the Apostles had so disappeared that the monks had no reluctance to put a door in the wall under the figure of Christ. We know of this from copies but even the earliest copies are often unreliable and omit or alter certain important details. Finally, although the painting is still in its original venue, it is impossible to replicate the monk’s dining room and see the painting as its original viewers would have seen it. 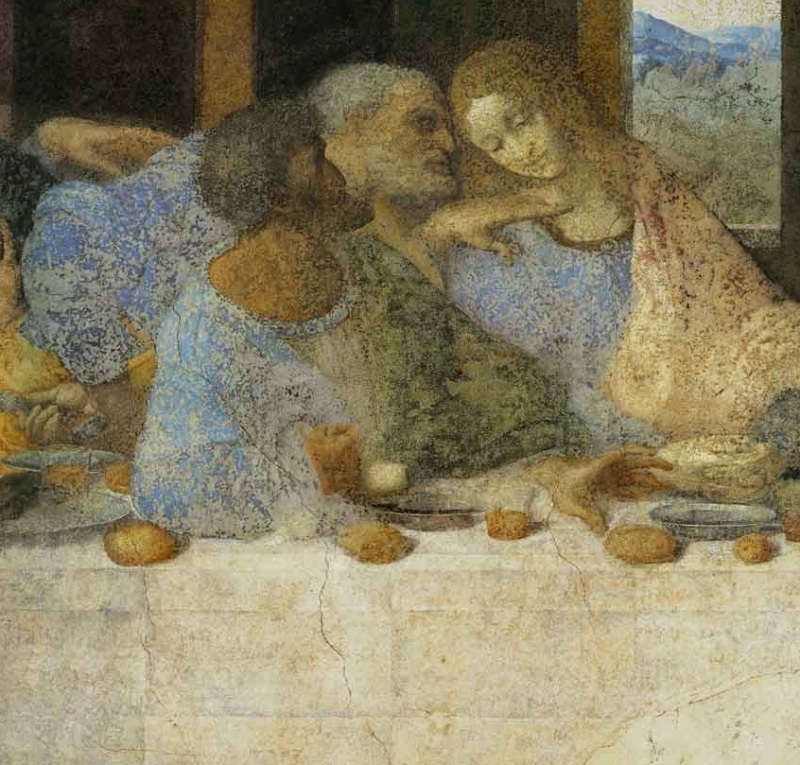 What remains to be told about Leonardo’s Last Supper is not some residual matter previously overlooked; the novelty of the subject is the whole of the work responding to different questions. In the present study, the picture emerges as both less secular and less simple; contrary to inherited notions, it is nowhere “unambiguous and clear,” but consistently layered, double functioning, polysemantic. Steinberg took on an academic tradition that had been entrenched ever since the time of the Enlightenment, especially after Goethe’s famous essay claimed that Leonardo had depicted the psychological shock on the faces of the Apostles at the moment immediately following the announcement of the betrayal. Goethe’s interpretation had seemingly settled the matter for all future observers. Steinberg, however, blamed nineteenth century secularism for a profound mis-reading. In the art of the Renaissance, the obscurantism imputed to religious preoccupations seemed happily superseded. Ideal art was believed to reveal humane truths which the service of religion could only divert and distort. And it was again in Leonardo in whom these highest artistic goals, originally embodied in ancient Greece, seemed reaffirmed. 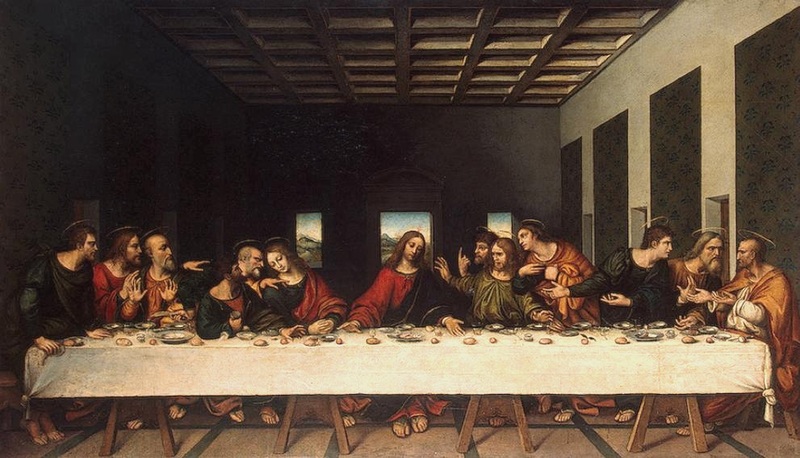 In this projection of nineteenth-century values upon Renaissance art, the masterworks of the Renaissance were reduced to intelligible simplicity, and Leonardo’s Last Supper became (nothing but) a behavioural study of twelve individuals responding to psychic shock. Moreover, I suspect that today, one year after Steinberg’s death at the age of 90, his thesis is still only known by a small coterie of art historians. Reading Steinberg’s Incessant Last Supper not only brings one deeper into a great masterpiece, but also deeper into the mind and culture of the genius who was Leonardo. However, since the common view holds that the painting depicts the psychological reaction to the announcement of the betrayal, I would like to concentrate on Steinberg’s analysis of Leonardo’s portrayal of the Apostles. Beginning with the general principle “that nothing in Leonardo’s Last Supper is trivial,” Steinberg asserted that the subject of the picture was not merely the betrayal announcement but the whole story of the Last Supper, the Eucharist, the Passion, and the significance of it all to the viewer. ...never before attempted, was to collect in “conjoint presence” a superdozen male sitters strung across nearly 29 feet of wall, to convert the drag of enumeration into what he called a “harmonic total effect." Leonardo’s solution of the problem is “an untiring marvel” but first we must identify the Apostles. In their places from left to right there are Bartholomew, James (the eventual head of the Church in Jerusalem), Andrew, Peter, Judas, and John. On the other side there are James (the son of Zebedee), Thomas (who has thrust himself ahead of James), Philip, Matthew, Thaddeus (sometimes called Jude), and Simon. Much of the detail of the original has been lost but an anonymous copy c.1550 gives a very good look at the hands and feet of the thirteen men in the picture. Steinberg’s stresses the significance not only of the feet of Christ but of the Apostles. Christ’s feet are central and larger and they announce his impending crucifixion. The feet of the Apostles are there to be washed but also represent their role and future destiny, "This very night, each of these feet is washed and wiped dry by the Master. In view of the gospel…how negligible can these feet be; surely, this is their hour!" Starting with the three on our right at the end of the table, the six open hands in gesture toward Christ, seemingly in response to the word “take!”. Steinberg proposes the Eucharistic interpretation, indicating that Communion of the Apostles is imminent. Hands take on special significance. Steinberg takes special note of the “affinity” of the left hand of Thaddeus to the left hand of Christ, "Thaddeus’ hand toward Christ; Christ’s toward us. It is missing a lot to dismiss the correspondence as accidental." Feet, hands, even fingers are important. In the triad at Christ’s left hand (Philip, Thomas, James). 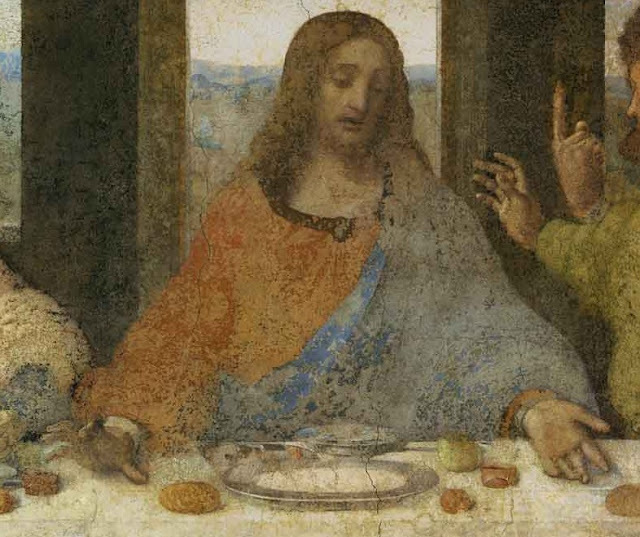 The upright finger of Thomas, who has thrust himself forward toward Jesus, is particularly noted for its repeated use by Leonardo, "...this upright finger occurs in Leonardo’s rare paintings no less than four times, invariably pointing to heaven… The steeple finger is Leonardo’s trusted sign of transcendence." Then, Steinberg moves on to the triad on Christ’s right hand; Peter who denies, Judas who betrays, and John who remains to the end at the foot of the Cross. The inner triad refers to imminent Crucifixion. It contains the dark force that sets the Passion in motion, then, behind Judas, St. Peter. Peter’s right hand points the knife he will ply a few hours hence at the arrest. And the interlocking hands of the beloved disciple are pre-positioned for their grieving on Calvary. Leonardo’s initial rendering of the betrayer tracks inner conflict; lips clenched under enchanted eyes that gaze on their gift of light,…the wretchedness of a man who had once been chosen by Jesus…but whose nature, having experienced devotion, retains its capacity for remorse…Leonardo brought a tragic vision far in advance of what his contemporaries could fathom. The subjective experience of abjection never received more humane understanding. Head of Judas. c.1495. Royal Collection, UK. In the outermost trio on the left, Andrew sits next to his brother Peter; and James, the first Bishop, imposes a hand on each of them. Finally, no review can do justice to Steinberg’s discussion of the figure of Christ, no longer seen as a passive figure sitting back while the Apostles react to the betrayal announcement. As the person of Christ unites man and God, so his right hand summons the agent of his human death even as it offers the means of salvation. The Christ figure as agent—both hands actively molding his speech, and both directed at bread and wine…Christ becomes the capstone of a great central pyramid…And midway between the…slopes of Christ arms and the floor lines that transmit their momentum, exactly halfway, there lies the bread, and there lies the wine. 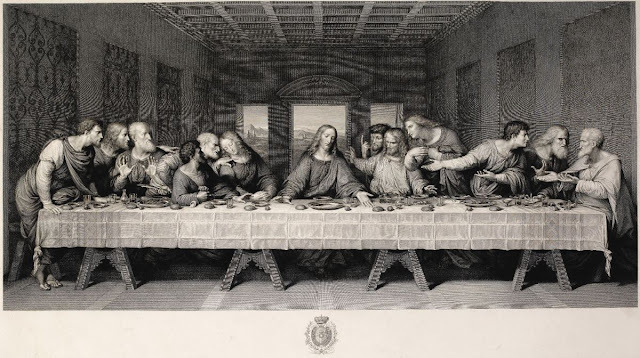 The above discussion primarily relates to the analysis presented in the third and fourth chapters of Leonardo's Incessant Last Supper. Steinberg goes on to show how the painting must be understood in terms of the whole room in which it was viewed, and even in terms of the whole complex of which S. Maria della Grazie was a part. This final quotation gives a good summary. I think we see—or would have seen had the mural survived intact—a willed visual metaphor. Within the geometry of the picture, the elements of the Eucharist, placed in extension of Christ’s earthly presence, serve as conveyors: from the centrality of the Incarnate toward the faithful this side of the picture. Steinberg backed up his interpretation with a virtuoso display of all the tools available to a modern art historian. He displayed a magisterial familiarity with the interpretive history; the texts; the traditional legends; the related paintings; and with the entire body of Leonardo's work. More than anything else, however, was his ability to convey the culture of devotion in Medieval and Renaissance Christianity. Antoniewicz, JB. Das Abendmahl Lionardos. Anzeiger de Akademie der Wissenschaften in Krakau. Philologische Klasse. Historische-Philosophische Klasse, Cracow. 1904. Cited in Steinberg, 2001.
p.35. Describing the depicted scene as a dramatic moment, Goethe, following Bossi, presents its content as ethical, not as religious; and finds no occasion to remember the eucharist. Authors of the next generation made the omission canonic. p.38.It was not in the Milan refectory, not before the original, that Goethe [formed] his opinion—he had, after all, seen it but once, very briefly, thirty years earlier on his return journey from Italy; no, it was in his Weimar study, looking at Raphael Morghen’s engraving, which blurs whatever is fraught with meaning and indispensable to an interpretation. p.38. His name and his insights found no place in Vinciana. The Cenacolo literature of the following fifty years cites Antoniewicz in just two stomping footnotes intended to seal his oblivion. Steinberg, L. Leonardo's Incessant Last Supper. Zone Books. 2001. Dr. Francis P. DeStefano is a retired assistant professor of history, who now dedicates his time to writing and lecturing independently on history and art history. His key area of interest is Venetian Renaissance art, particularly the works of Giorgione. His ongoing research into historical and sacred themes influencing artists in the Renaissance can be read at Giorgione et al, and its parent site Tempesta News. It seems clear that Leonardo didn't have to chose one or other (nor do we). Nor did Leo Steinberg (one of the most "incessant" personalities ever to walk the halls of Academe! )The chief--probably unanswerable question--is how far we can and should go in reconstructing patterns of "historical context". There are so many "keys for reading" works of art--ancient, modern and post-modern! Thanks again for focusing our attention on this important book. I'm glad you enjoyed the review and I'm sure that you and anyone else will find that I just scratched the surface when you read it yourself. I came to Steinberg's work only after I had made my original Giorgione Tempest discovery but his insights and concepts provided valuable support even though I have found no evidence that he spent much time with Venetian art. 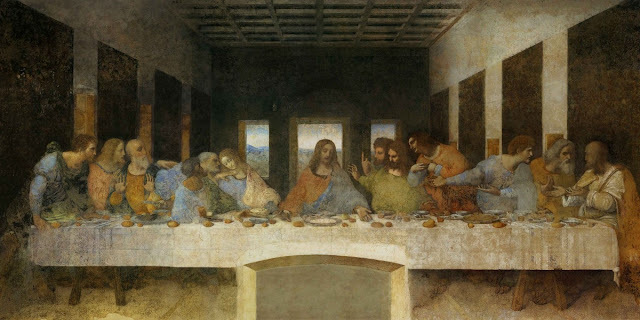 I plan to post on this subject on my own blog but for now I will just say that he confirmed my belief that we must learn to view the Last Supper and other masterpieces not through our own eyes but through the eyes of Leonardo, Giorgione and their contemporaries. Nice review, Frank! It took me a while to spot the wine near Christ's hand. I never thought of the placement of the Eucharistic elements in between Christ's arms before. I was just thinking about Leonardo's "Last Supper" yesterday, when grading THIS POST by one of my students. I think Andy Warhol would agree that there is "more left to say" about this painting, too. Of course, Steinberg and Warhol have two very different approaches to commenting about art! I will admit an affinity for Gombrich's comment here. The yearning for a definitive iconographic interpretation seems to be a signifier of an old type of art history that is less capable of admitting that such an interpretation may indeed be impossible. Even if we could have Leonardo himself write out a program for the painting (he would never finish it of course, and the ink would dissolve half way through...!) there could still be things that viewers read into a work that may not have been intended. That the Eucharistic reading is missed because Goethe had a bad copy and the German speaking Polish writer was apparently ignored speaks of a field of study that could do with a greater amount of intellectual rigour. Steinberg's text can equally be seen as an historiographic account, or 'systematic review' as it provides full versions and translations of Goethe's and Antoniewicz accounts in its appendix. 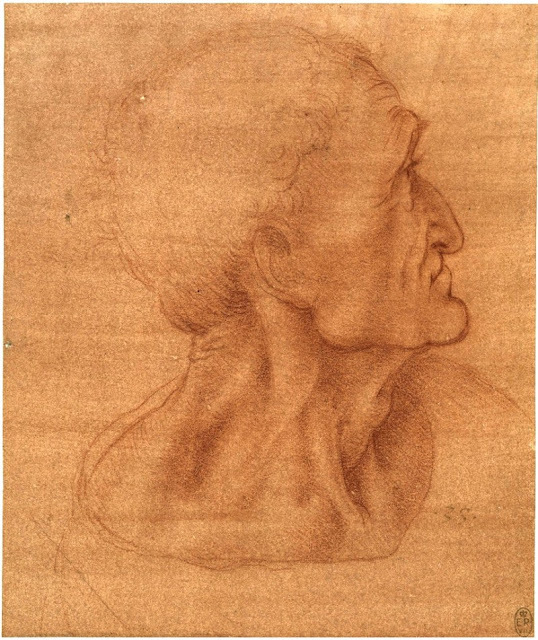 For this reason alone it is a supremely useful resource for those interested in this Leonardo picture. As time goes on, some are less drawn to the "complex guessing games" that constitute an iconographic study, but we can acknowledge the allure they hold to the imagination - the potential unlocking of a mystery lost in time - but can it ever be "definitive" or even anything approaching the artist's intention? Does your college textbook mention the eucharistic interpretation? My old copy of Jansen repeats the "betrayal" theme but only vaguely mentions some others. I just got back from NY's Met Museum and saw Titian's Venus and Adonis. There is no doubt about its subject though it can have different meanings. Why then is it only when someone proposes a sacred or religious subject for a favorite work of Renaissance art, that we must throw up our hands and say that we can never know for sure. 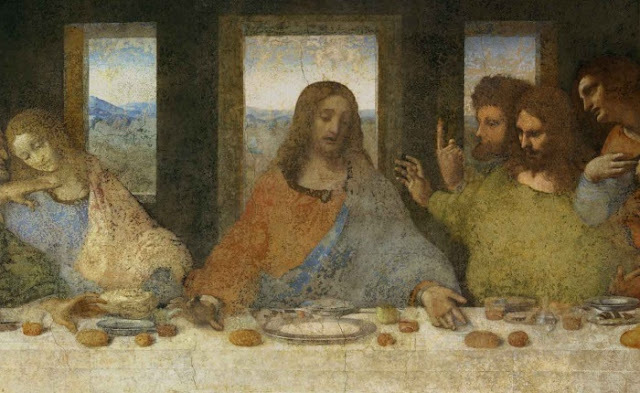 By the way, Goethe followed Bossi, a contemporary, who argued that "the institution of the eucharist would not have engaged Leonardo, being a topic unfit for the summits of art." Goethe did not use a "bad" copy; he used a copy that deliberately left out eucharistic elements in order to present a secularized version of the painting to "Enlightened" viewers. Steinberg discusses that in c. 2 and also presents a complete history of the various copies in an appendix. Regarding sacred subjects and throwing up one's hands in despair - this must surely be related to the viewer's readiness to accept interpretations based on historical evidence vs other less tangible elements. My own statement that we will never know for sure is based on the fact that there is no way of discerning the artist's intention. We would be better of looking at antecedent depictions, and noting if Eucharistic depictions of the last supper were common at the time. Even this can only inform us of an existing artistic convention, but never be a full account of a visual nuance an artist like Leonardo may have uniquely introduced. It is worth remembering these artists were not yet living in a time of iconoclasm, and before the Council of Trent - had no restriction from painting sacred subjects as their patrons desired it. As for the "bad" or at least incomplete copy - are we sure it was "deliberate" or simply not visible due to the deterioration of the picture? To be sure of this we would need to compare other copies made at the same time as the Matteini/Morghen image Goethe was working from. The Raphael Morghen print was based off a design by Teodoro Matteini, who was commissioned to make an engraving of the work for Grand Duke of Tuscany, Ferdinand III in 1795. What did Matteini see in 1795, and was he working from the original or a copy? 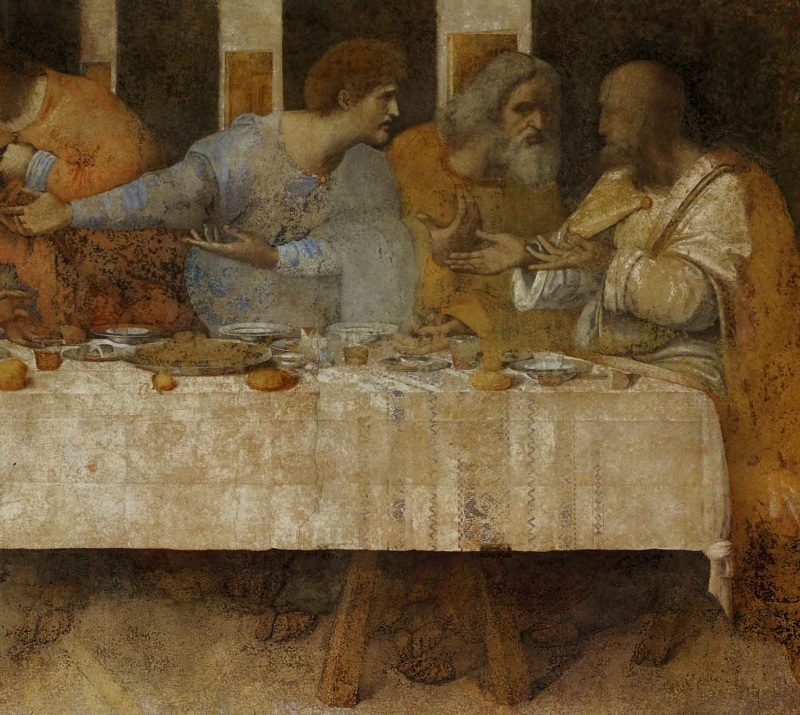 The bread roll survives near Christ's left hand survives, but the wine seems to be missing. Is this enough to support that the painting has been deliberately secularized? That being said though, the artist leaving out the Eucharistic elements does not detract from it still being a depiction of Christ and the Apostles. One wonders at the selective logic of Bossi - who seems as guilty as any other commentator on this piece of trying to tell us what Leonardo was thinking.... all from a glass of wine. For those interested in a less nebulous account of the last supper, I would direct readers to the 2001 publication by Barcilon and Marani, translated by Tighe, published by UChicago Press. 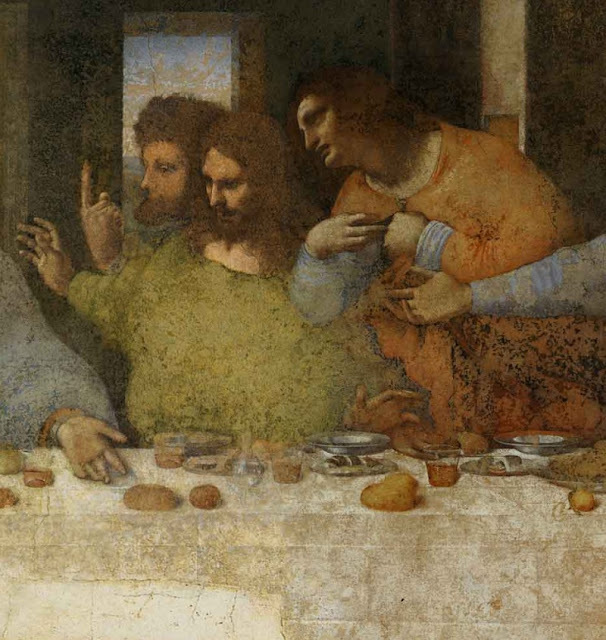 link Those able to navigate text in Italian should also seek the exhibition catalogue dedicated to The Last Supper Il genio e le passioni: Leonardo da Vinci e il Cenacolo : precedenti, innovazioni, riflessi di un capolavoro also published in 2001. link. With all the distortion that seems to be out there, inside and outside of art historical accounts, we begin to quickly understand the frustration associated with rational Leonardo scholarship. Frank--I am now on my way to visit Italy's "Second Most Famous High Renaissance Cenacolo"--Andrea del Sarto at San Salvi (one of my favorite Sunday excursions, in a fascinating largely unvisited little museum.) What are your thoughts on this presentation of the theme? Ed G.
"But his sleeping posture...came to be more generally resisted. Renaissance painters found John's somnolence at the drama's climactic moment even harder to justify. Henceforth John's upper body erects into near wakefulness (Sforaz Book of Hours; Raphael; Sodoma; Andrea del Sarto,,,). this is no time to nod." del Sarto distributes the apostles a little differently. Judas is right next to Christ, and John at his left hand, but it is hard for me to answer your question. Maybe you can give us your thoughts since you will see it in person. Frank—Unlike Leonardo’s more famous Last Supper in Milan, the Andrea del Sarto at San Salvi here in Florence is relatively well-preserved and easily legible. It communicates, however, in quite a different key—with the drama (psychological or otherwise) far more restrained. The construction of the space is very impressive as is the subtly orchestrated distribution of the figures and the general atmosphere of quiet nobility. The most striking expressive element is probably the contrast between Saint John and Judas. Saint John gazes at Christ in adoration—leaning in towards Him, unlike Judas who leans away (with his hand on his breast, perhaps implying shock and dismay, “What have I done? !”) The central grouping is particularly dramatic (after you spend some time looking at the fresco, since “drama” in Andrea del Sarto is seldom overt). What I felt most was the relative space between the figures. There is, inevitably, a strong Eucharistic message focusing on the bread of the sacrifice which Christ offers to Judas—in sorrow and pity it would seem, while turning away from him. I don’t see any wine on the table. Might it be implicit that the bread had already been dipped in wine? I wish that I knew more about iconography in relation to contemporary doctrinal readings. Did the Vallombrosans (who commissioned the fresco) have a particular point of view? Ed G.
Many thanks for the comments and interesting discussion. I too am very fond of Del Sarto's Last Supper, though mainly because of its wonderful treatment of space via that innovative use of perspective and architectural features. In rhythm of Life author Mathew Kelly mentions Leonardo da Vinci searching for a subject to portray the face of Judas and when he found the subject in a jail that the man turned out to be the man he had chosen to be Jesus in his painting many years earlier. Is this a true story?